The team at Ultra Bin Hire & Demolition offer a range of services when it comes to rubbish removal in Melbourne. Reliable, easy and efficient, our rubbish removal options are sure to minimise hassle and make your job easier. Whether you’re moving houses, renovating, or simply have a lot of waste to get rid of, we can assist in the disposal of rubbish, ranging from general waste bin hire in Melbourne to hard rubbish. We can deliver walk-in bins or skip bins to your specified location for a period of 2 to 3 days and then pick the bins back up when they’re filled with waste. A longer hire period can be arranged if necessary – plus if you don’t want to take the project on by yourself, our team can assist with your rubbish removal in Melbourne. 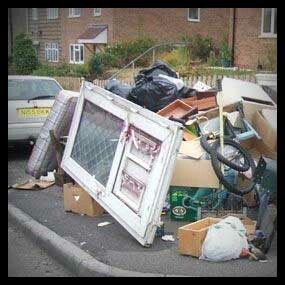 The best way to book in for removal of rubbish is by contacting one of our professionals. One of our skilled, trained and knowledgeable experts will speak to you about your project type, how much waste you have to get rid of and how you want to approach the task. Whatever type of service you’re looking for, you can trust that we’ll respond in the quickly and efficiently. We understand that removing waste and committing to a large disposal can be tiring and frustrating, which is why we aim to make the process a simpler one with our team of experts and range of versatile bins. WHY CHOOSE OUR TEAM FOR RUBBISH REMOVAL IN MELBOURNE? We have years of experience assisting with rubbish removal in Melbourne for residential and commercial clients. We offer a wide range of rubbish removal solutions, including hard rubbish removal and skip bin hire. We offer reliable and efficient rubbish removal services that don’t compromise on quality or workmanship. We can also assist with a range of additional services, including excavation, demolition, asbestos removal and site clean ups. If you want to discuss your options or book our services, give us a call, our team are happy to help you come up with a plan for rubbish removal in Melbourne that’s tailored to your needs. Alternatively, you can click on the quote button below to request a free quote. We can also provide assistance with site clean ups –call for more information.